S4E is designed to be easy to play, with a loose structure of rules meant to appeal to beginner and ‘freeform’ roleplayers and to encourage collaborative storytelling. There are six important terms to learn and remember, and these are: Theater of the Mind, Scenes, Narrative Mode, Cinematic Mode, Rounds, and the “P.I.E.” acronym. In this chapter, each of these terms and how they govern gameplay will be explained. S4E falls within the genre of ‘collaborative storytelling’ games, which is more loosely-governed than other game types in terms of exactly what a character can and cannot do. This means that S4E is played primarily with the group’s imagination and interpretation, and with secondary materials (such as grids, maps, tables, charts, and exact measurements of range, damage, movement speed, etc) having less of an impact on moment-to-moment gameplay. This style of play is relatively subjective and fluid when compared to other games in the RPG genre, and is best described with the term Theater of the Mind. Individual parts of an Episode of S4E can be separated into Scenes, which are distinct sequences of action and narrative revolving around a central plot point. Scenes can be identified by considering an Episode of S4E as if it were an episode of the original cartoon: they could be anything from “talking to ponies around town to find information,” to “confronting the hydra,” to “traveling through the forest.” Many parts of S4E revolve around the concept of Scenes, and it is thus important to approach gameplay with Scenes in mind. Scenes in S4E are separated into two types: Narrative Mode and Cinematic Mode. A Narrative Mode Scene is a Scene in which timing isn’t necessarily important. It is the ‘exploration’ mode of the game. For example, when going around town looking for clues, or searching a cave for a secret door, or traveling through the forest, the moment-to-moment timing of the game isn’t very important. Thus, those are all Narrative Mode Scenes. Narrative Mode is fast and loose, with the GM and the players working together to tell the story, and the GM keeping things organized without needing to take gameplay into the more ordered Cinematic Mode. The other type of Scene in S4E is Cinematic Mode. A Cinematic Mode Scene is a Scene in which timing and bookkeeping of numbers are more important, and often one in which when danger or threat is a focal point of gameplay. For instance, Cinematic Mode comes into play when the players’ characters are facing an adversary or handling a tense or difficult situation like a sporting competition or escaping from Ahuizotl’s latest series of traps. A Cinematic Mode Scene is played out in a sequence of Rounds, with a uniform order of action and reaction that is repeated from Round to Round. P.I.E. 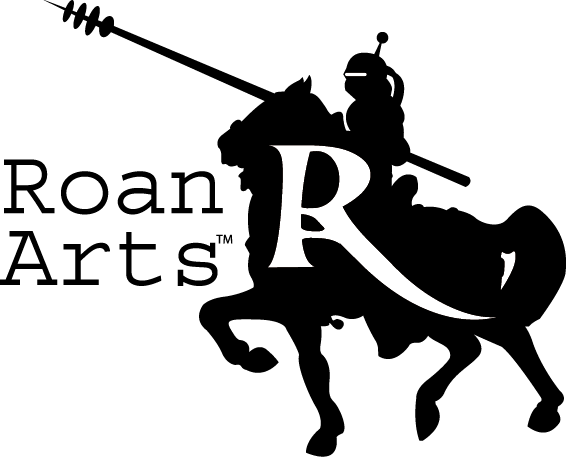 stands for “Presentation, Initiative, Effects.” It is the formula of steps for resolving each Round of a Cinematic Mode Scene. The following will describe each step in detail, and give examples of P.I.E. in action. The GM decides that only three members of the group are in direct danger of attack from the bat swarm, and so calls for reactions from them. Two characters try to dodge out of the way, and one tries to blind the bats with a flash of magical light. The GM resolves all of the reactions, and decides how the combined reaction plays out. One of the dodging characters succeeded, but the other failed--but the character who tried to blind the bats succeeded! The GM decides that the blinding light prevents the bats from harming anyone for the moment, and thus the light-wielding character’s reaction ‘saved’ the failed dodging character as well. The characters, with a brief reprieve from the bat swarm, decide to take the offensive. A Pegasus tries flying in a circle to summon a small tornado to trap the bats while the others confront their mysterious adversary. It works, and the bats are kept busy in the cyclone. The other characters confront the cloaked figure. One steps forward, and all the others act in Harmony with the group leader, backing them up as they demand that he tells them his name, and where he’s taken Princess Luna! As the characters confront their mysterious adversary, the bats, confused by the tornado, seem to break out of a magical trance they’ve been kept under and no longer seem hostile. With the Effects step complete, this Round ends and a new Round begins with its Presentation step.